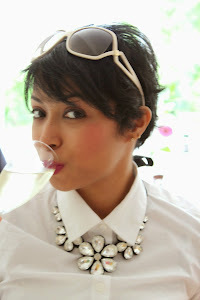 Don't we all love bringing some cheerfulness home? 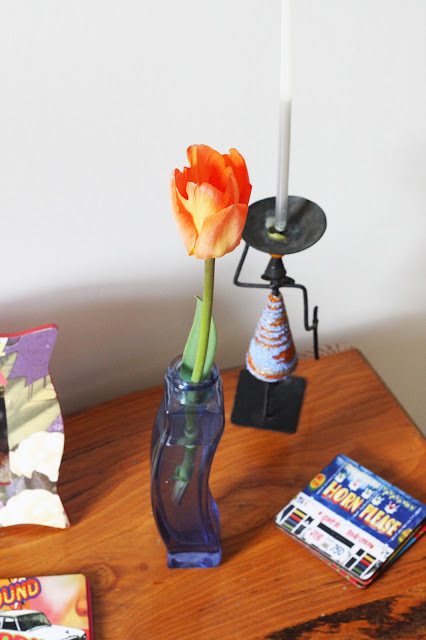 Today I'll give a little peek into our home and show you the little things I'm doing to making fun, homely and spring-worthy. 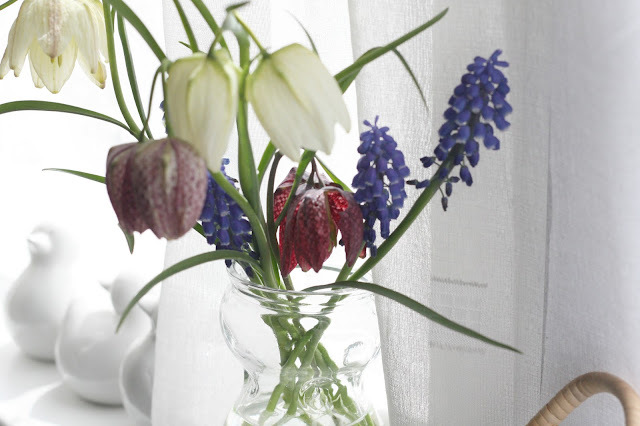 Homegrown fresh flowers: Nothing cheers up a space like a bunch of freshly cut flowers. I'm reaping the fruits of my labour on the allotment via the spring flower bed. Whilst I was expecting to bring home bunches of daffodils and tulips, I'm actually loving taking cuttings of dainty frittilaria and muscari instead. They are so dainty and beautiful and look stunning in jam jars. If you don't have a garden or allotment, try picking wildflowers or spring tree blossoms instead. Rustic accessories and home plants: The one of the many nice things about Spring is able able to have potted flowering plants like hydrangeas and gerberas. Whilst individual hydrangea stems can be expensive, potted plants are better value and last for a long time. In fact, our potted flowering hydrangea with its rustic pot cost less than buying the same number of individual stems! 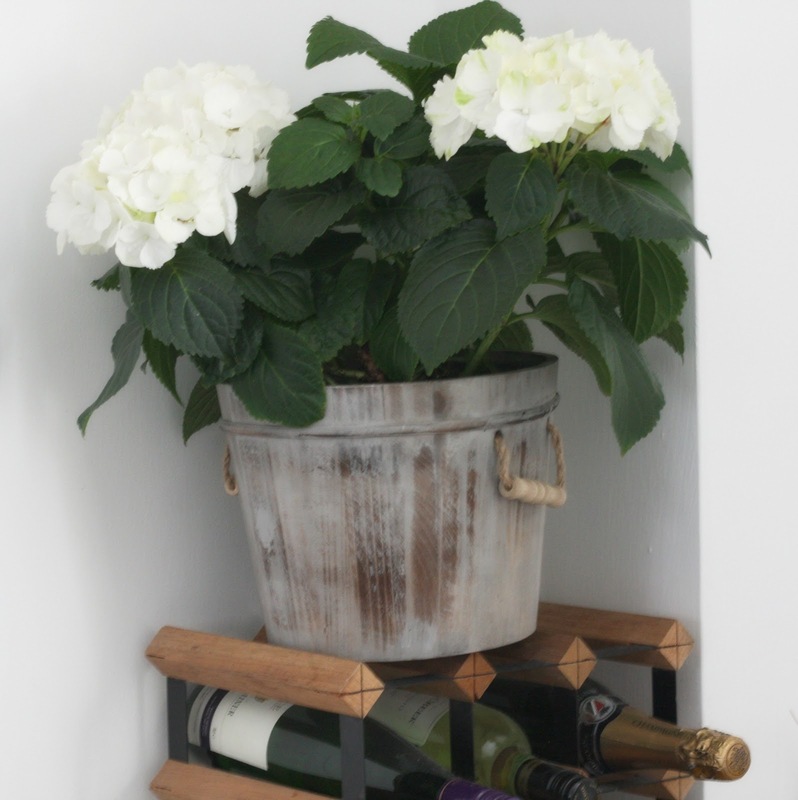 I chose to mount the pot on top of our rustic wine rack to create a little shabby chic corner. Miniature cacti in vintage china: Last year, I picked up some gorgeous miniature cacti from the Columbia Road Market. 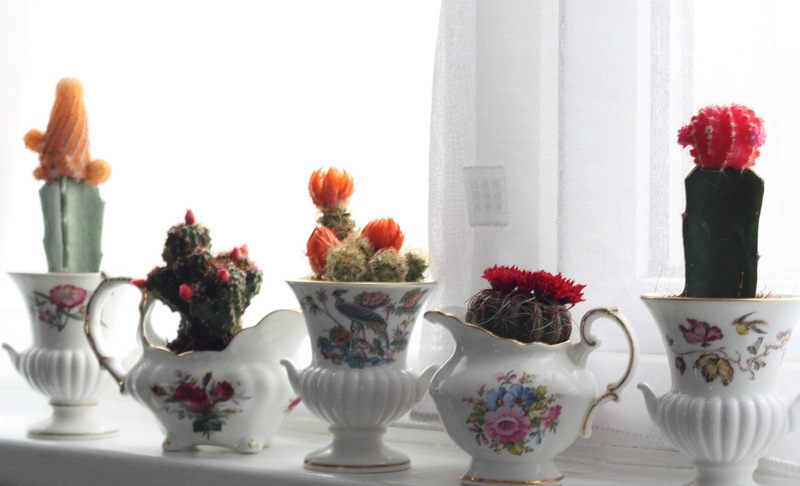 The cacti cost £1 each ( I haggled a teeny bit) and I scrounged charity shops and antique stores for some beautiful china. I eventually found a perfect set ( each bought separately) for a fraction of what they were going on eBay. Magic shelves: I know having touch accessories around the house. 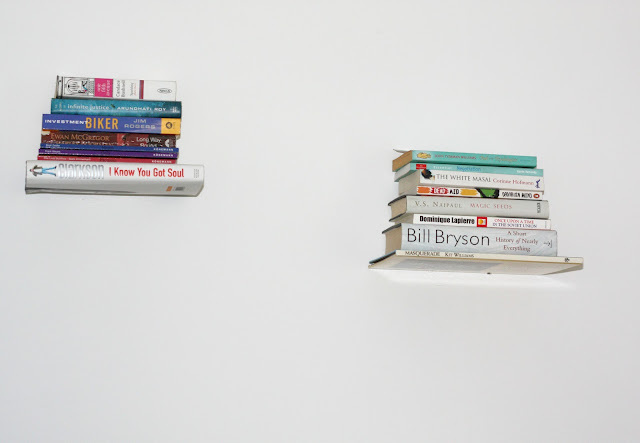 One of my favourites are floating shelves that make the books appear as if they were floating mid-air. I've had some many compliments from friends and family about them. I love it when people try to figure out they the contraption works. My shelves were from Umbra via Amazon and cost about a tenner each.